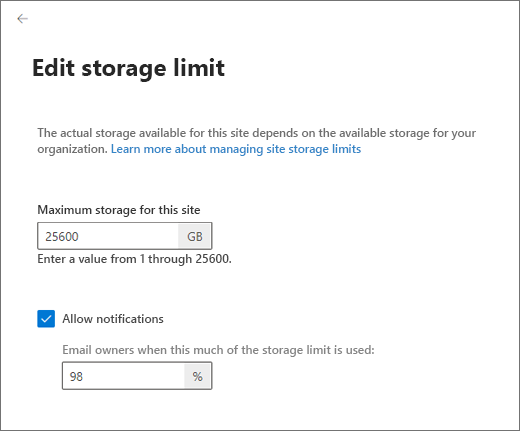 SharePoint Online storage is now calculated in gigabytes (GB). More info. 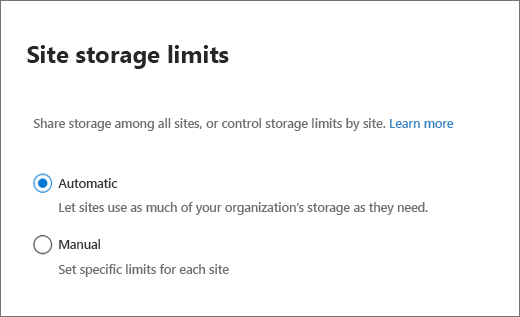 SharePoint storage was previously calculated in megabytes (MB). It's now calculated in gigabytes (GB) using only full integers. If you previously set your storage quota in MB, it will be converted to GB (1024 MB=1 GB) and rounded down to the nearest integer. So a value of 5000 MB becomes 4 GB. A minimum of 1 GB can be set per site. If you set your SharePoint storage quota by using PowerShell, that value will be rounded up to the nearest integer GB to prevent a value of less than one GB turning into 0 GB.